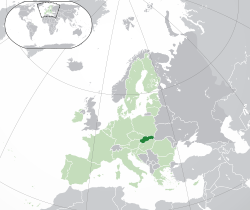 Wikimedians of Slovakia User Group, in Slovak Wikimedia Slovenská republika, abbreviation WUG WMSK (between 2011 and May 2018 known as Wikimedia Slovakia) is a Wikimedia User Group with mission to support the Wikimedia movement in Slovakia as described in the bylaw. The intention of active members of WUG WMSK is to develop the organisation to Wikimedia Chapter. We have organised number of competitions, presentations, speeches (not only in Slovakia), trainings, meetings (including Wikimedia CEE Meeting 2013), some small projects and participated on various Wikimedia conferences. We are collaborating with another Wikimedia organisations and education / open movement organisations, both NGOs and national. Intentions for Wikimedia SK goes back to 2006 but first strong call for founding appeared in beginning of 2011. After nearly 1 year of meetings, brainstormings and consultations with abroad Wikimedians we created core team of founders which formed a temporal board. Wikimedia SK was incorporated in December 2011 and our first general assembly took place in March 2012. On 25 June 2018, Affiliation Committee recognized us as Wikimedia User Group. At the last general assembly in 2018 the board was confirmed and started a new 3-year period. The former chair (Michal Matúšov, KuboF Hromoslav) has resigned on December 20 2018. At the general assembly on 16th January 2016 the new audit committee was elected for new 3-year period. This page was last edited on 9 March 2019, at 16:38.